This morning I received an email from a reader who was looking for suggestions for tools that her students can use to create comics on their iPads. I recommended some paid and free apps to her. The free tools that I recommend are featured below. Make Beliefs Comix is a free multilingual comic strip creation tool that I’ve featured many times over the years on Free Technology for Teachers. Make Beliefs Comix iPad app supports the creation of comics in seven languages; English, Spanish, French, German, Italian, Portuguese, and Latin. The free Make Beliefs Comix iPad app allows students to create two, three, and four panel comic strips. To create comics in the Make Beliefs Comix iPad app you simply select the number of frames you want to use then choose the characters that you want to feature in your story. After choosing your frames and characters you can type text into speech bubbles to tell your story. 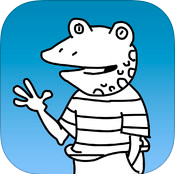 Animation Desk is an iPad and Android app (free and premium versions available) for creating short, animated videos. The app allows you to create drawings using just your finger on your tablet's screen. In the free version of the app (the version that I tried) you can create up to 50 scenes in each of your projects. In each scene you can include as little or as much as you want to draw on the canvas. There are a few different brush and pencil effects that you can use in your drawings. The opacity of the colors you choose can be altered too. When you have completed drawing all of your scenes hit the play button to watch your animation unfold. If you're happy with your animation you can export it to YouTube. You can export all of your drawings as a set of PDFs. Storyboard That provides templates in which you can create your stories in a comic strip style. Storyboard That doesn't have a stand-alone iPad app, but it is written in HTML5 and works well on all tablets. To help you create your story Storyboard That provides dozens of scenes, characters, and text bubbles to fill your storyboard's frames. Each element that you drag into your storyboard's frames can be re-sized, rotated, and re-positioned. Storyboard That has free and paid plans. The free plan allows you to create three and six frame stories. The free plan also limits you to three storyboards per week. A paid classroom account offers options for managing student accounts, limiting sharing to classroom members only, and a classroom account offers more frames per storyboard.